We’ve waited a long time, especially after seeing the upcoming webOS hardware at HP’s event, but the Palm Pre 2 has finally landed in the US courtesy of Verizon Wireless. Starting today, you can stroll into your local Verizon Wireless location and pick up the latest webOS powered smartphone out there. Granted that its arrival might be considered late for some, especially when its successor was recently unveiled, it still nonetheless presents us with the latest webOS experience. Not to mention that we’ll all have to wait until the summer before getting the opportunity of getting comfy with the HP Pre 3. Going for the 2-year contract price of $149.99 after rebates, the Palm Pre 2 features a 3.1” display, slide-out portrait keyboard, 1GHz processor, 5-megapixel camera with flash, 802.11 b/g Wi-Fi, and is powered by webOS 2.0. Couldnt agree more... Although it has minor improvements, its still the same phone. If anyone is still interested in this phone (which would be beyond me) they should at least wait for the pre 3. At least that phone has visible improvement. HP needs to wake up and build a real phone. Palm is gone, like the old Palm Pilots are gone. Make a real strong dual core phone that can run on Windows or Android. Come on HP, you can blow everyone away with all the tech prowess you guys have. Or dump the old Palm shell and put the name on a new product to justify why you bought Palm in the first place. 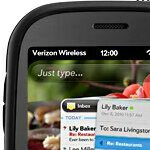 WebOS will go far as long as they push it forward with devices like the Pre 3.......... There is more to mobile devices the Android HP did not buy PALM to use Windows OS ! ! ! ! Yea they already are showing off the HP Pre 3, which has a much larger screen. So this phone will just quietly be removed just like the last one did. Yep. This is just a stopgap product to keep the Pre/WebOS visible while they prep more competitive products (Pre3, TouchPad). 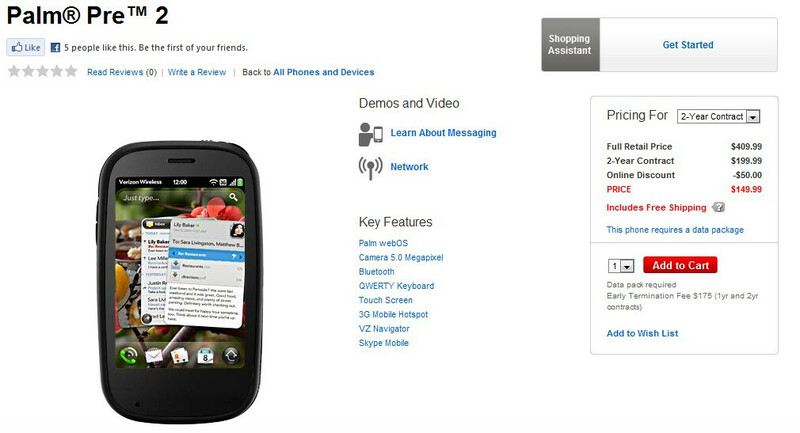 I tried out the Pre2 at a VZW store yesterday and while I liked the interface, the phone is just too small. I look forward to the Pre3. OH MY GOSH THE PALM PRE 2!!!! I'M SO EXCITED!!!!!!!! NOT! The iPhone is where its at!